The truth behind the SAS' most famous mission. The truth behind the SAS’ most famous mission. Drawing on extensive research, Operation Nimrod dispels the myths and reveals the truth of those six long days, and the dramatic rescue that thrust the SAS into the public eye. 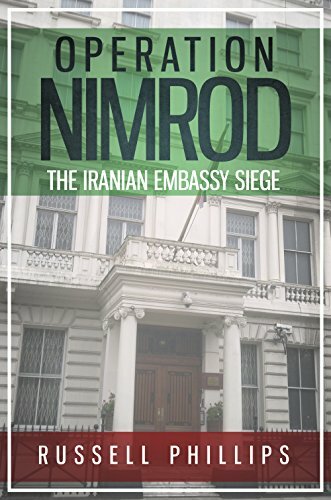 On 29th April 1980, British police assured Iran that their embassy was secure. The very next day, terrorists stormed the embassy and took twenty-six hostages. With the Iranian government willing to let the hostages become martyrs, and the British government only willing to talk if the terrorists surrendered, twenty-six lives hung in the balance. What followed was six days of tension and terror. It was finally ended when the SAS launched a daring rescue mission, broadcast live on television. Millions held their breath, waiting to see the outcome of Operation Nimrod.